Progress is progress! That’s why we are improving our mobile app, which is becoming more and more popular. 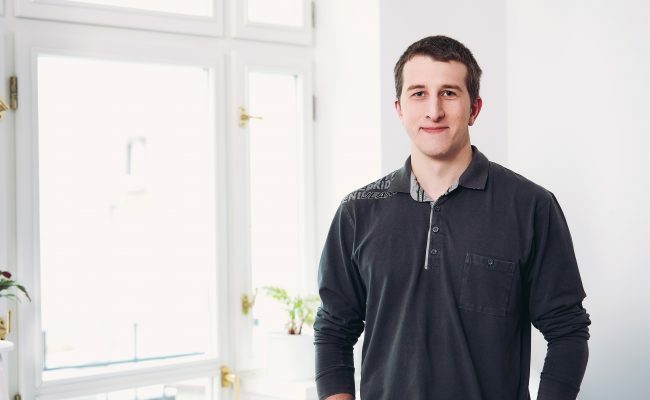 What can our developer Stepan tell us about the benefits of this update and mostly – how can users set this new functionality? It may sound marginal, but the truth is – lots of people don’t like picking up calls from unknown numbers. No wonder! Even today, we can still get surprised by a research question such as: “Where did you go for holiday last year?” or by a “limited kitchen equipment offer”. After all, it doesn’t only have to be telemarketing. When we are in the middle of an important task at work, we simply don’t want to stop and start talking to someone we don’t know. 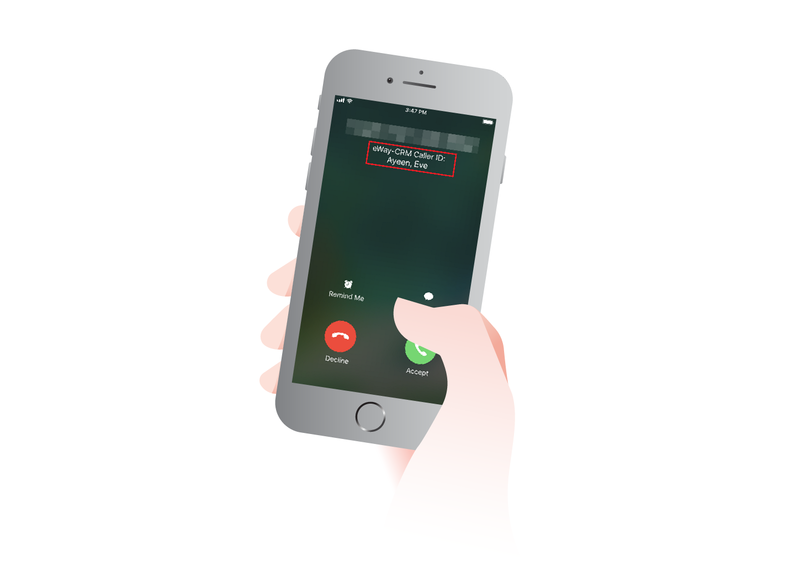 The odds that we call an unknown number back are also much lower than with a saved contact. The truth is that we can lose business opportunities this way. We are not always punctual and organized enough to have all of our business contacts saved in our cell phones. Maybe we don’t feel like doing that at all, especially if we use one phone for both working and personal use. And we don’t even have to do that! We already have everything in eWay-CRM. So, what exactly is the new functionality? Let’s ask Stepan who is in charge of developing the mobile app. Stepan, what is the nature of the latest product from your lab? We have developed a functionality for identifying the caller. 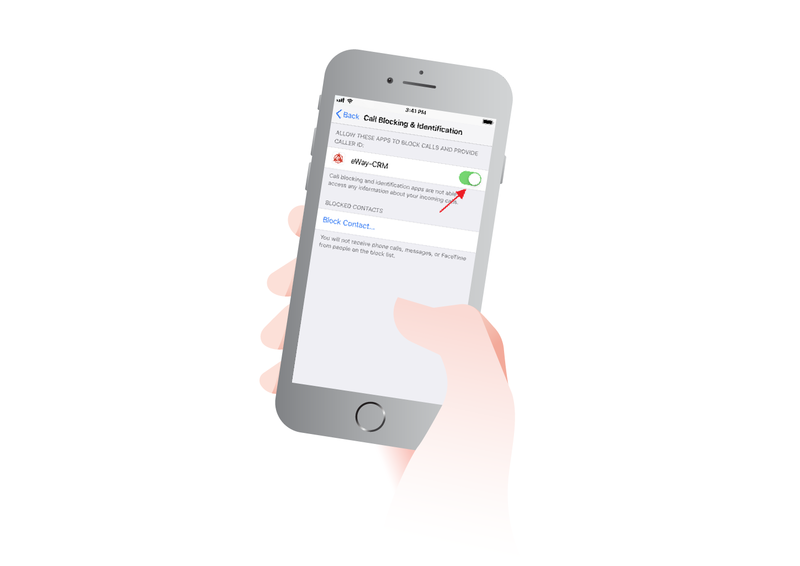 That means that if you get a call from a contact saved in eWay-CRM, but not on your mobile phone contacts list, you won’t see an unknown number, but the name of the caller together with information that it is an eWay-CRM contact. Does that mean that I don’t need to save business contacts in my phone at all? Yes. If you wish, and you adjust this in your settings, you can use your eWay-CRM contacts as a separate list. What if I want to call an eWay-CRM contact, or send them an SMS? You can easily do that using the eWay-CRM mobile app. You just need to remember that these phone numbers are not in your phone’s contact list. The whole thing is made easier by the “Quick Access Menu”. If you swipe the item right, you will see a menu for working with a journal and address. If you swipe left, you will see a menu for calls and SMS. Does this work on both Android and iOS? Of course. On Android, it works differently. There, we create a special contact file which can be viewed right among contacts. Android has a system of accounts which can unify data under themselves – calendars, contacts, etc. Does it work the same from a user’s point of view? Yes, for a user the result is the same as with iOS. Both interfaces allow caller identification using eWay-CRM. What else does the latest version bring? We have added the possibility of sorting and grouping based on state. We have some grouping filters and criteria that were designed some time ago. Since then, when someone contacts us via our feedback page and suggests a function that we find useful for other users, we simply add it. One of the last adjustments we made was correspondence addresses, now states. Yes, design-wise. We have a new icon corresponding with the new corporate design – don’t look for an orange one anymore. Now it’s red! Where do you see the main benefit for our clients? It will help people who don’t like picking up unknown numbers, which is a common problem. Thanks to this, sales reps will be reached more easily. Loads of people are afraid they might pick up a telemarketing call, and they simply dread picking up unknown numbers. This is an actual problem. Also, it helps with distinguishing which missed calls should be returned. For us this is also a big milestone because we managed to access a point we could not reach before. Simply put – if somebody wanted to use an eWay-CRM function, they had to go to the eWay-CRM app. Now, we’ve managed to get to a point where eWay-CRM is helping users even when they are not using the app. Of course, all of this only happens if the person decides this is something they want and they allow this in their settings. This is one of the holes we found and managed to fill. Now, if some caller is saved in eWay-CRM and not in your phone, you still recognize who is calling you. You will be asked if you want to give eWay-CRM Mobile access to contacts in your phone. For correct sharing of contacts, this access has to be allowed. Turn on the Provide Contacts to Other Applications. Don’t forget to try these functions out now!